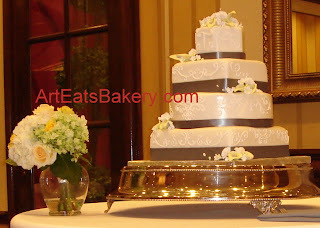 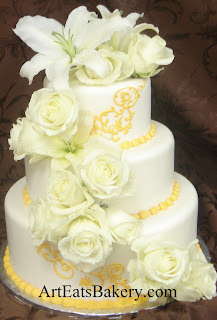 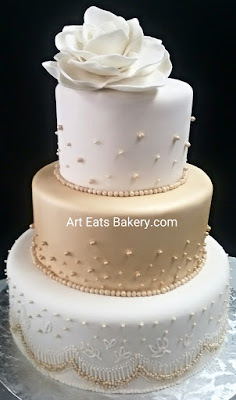 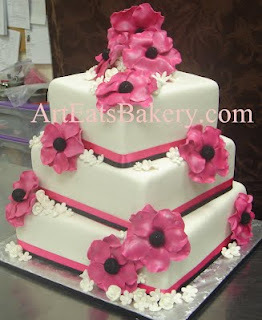 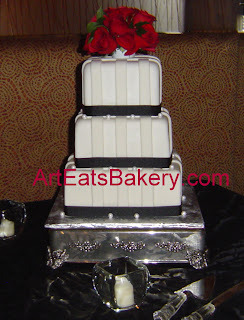 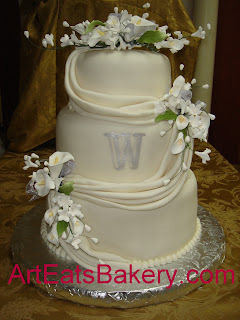 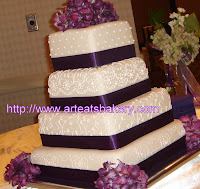 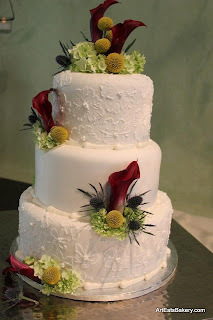 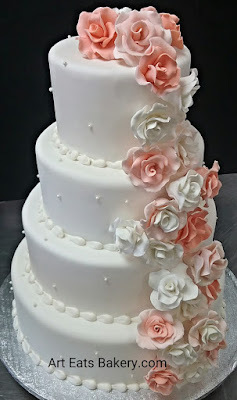 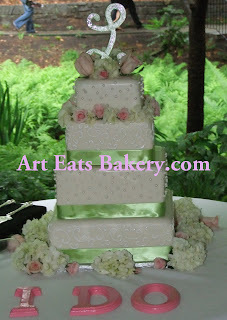 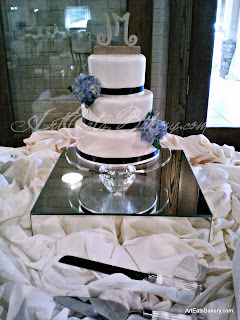 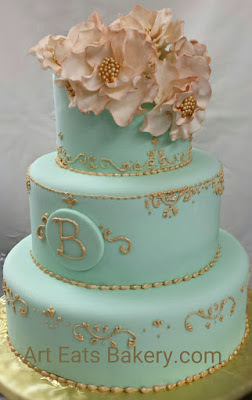 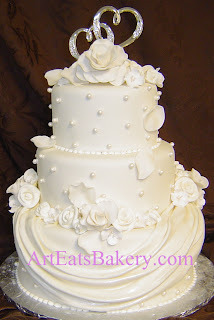 These are beautiful, modern and elegant wedding cake designs with flowers incorporated in them. 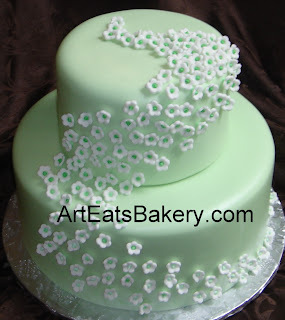 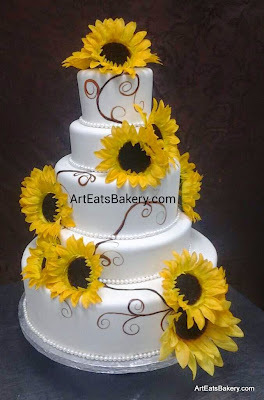 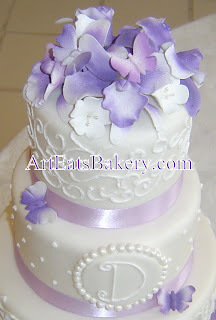 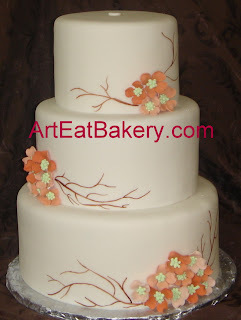 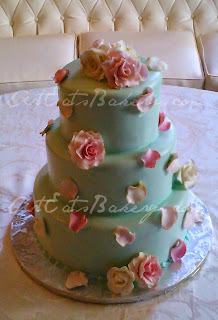 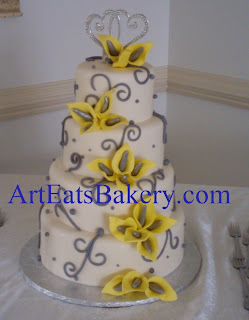 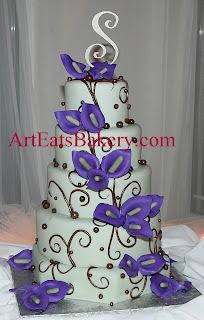 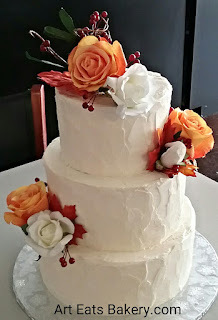 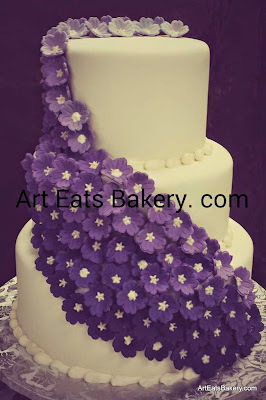 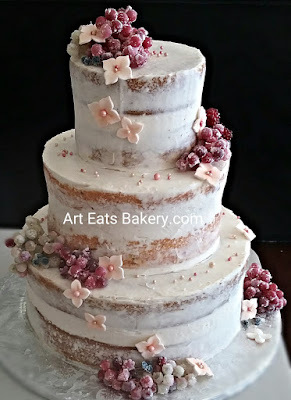 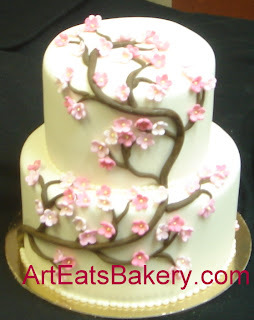 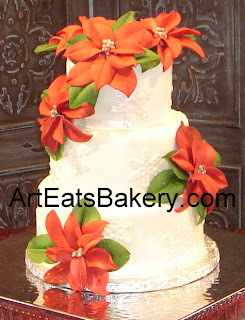 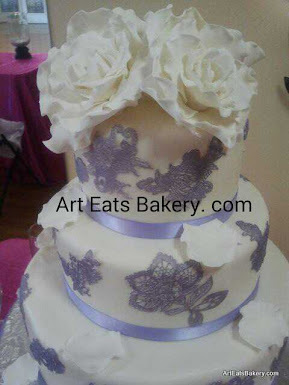 Some are real, fresh flowers and other designs use edible flowers. 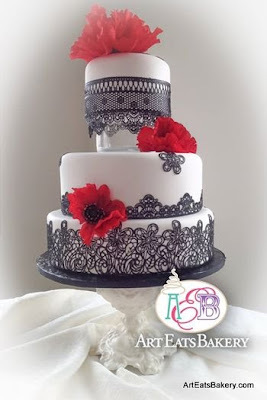 Vintage Black and White, 3 tier Wedding Cake featuring elegant black edible lace, classic smooth fondant and red poppy flowers. 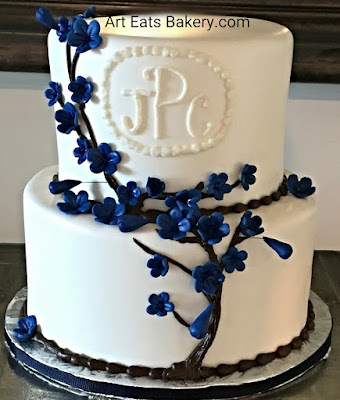 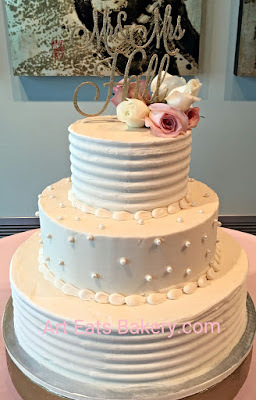 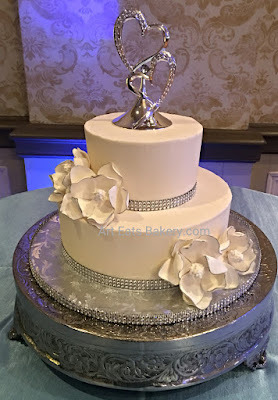 Three tier fondant and butter cream unique wedding cake with edible pearls, fresh flowers and monogram topper. 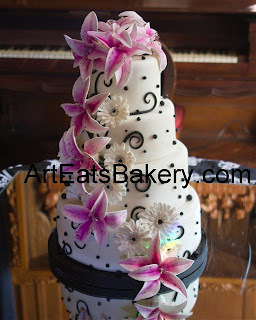 Thanks to FamZing Photography & Video for the wonderful photo. 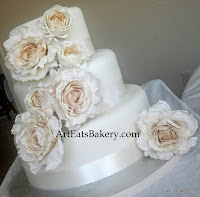 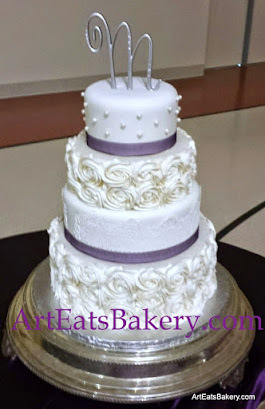 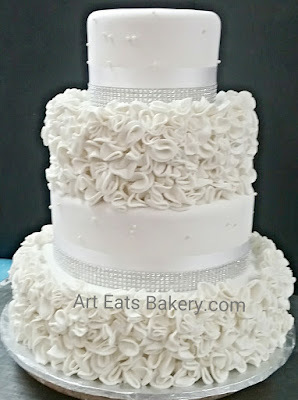 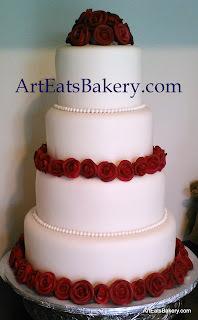 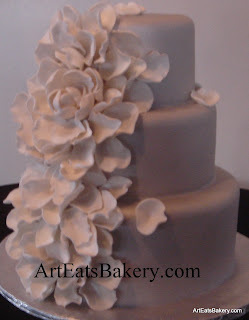 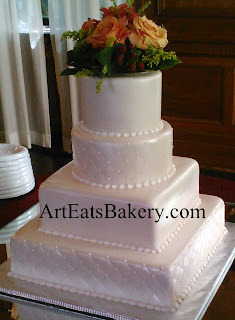 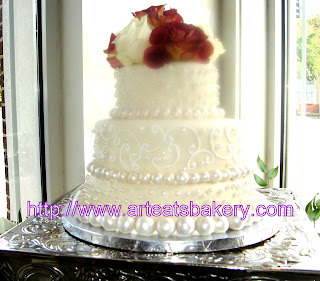 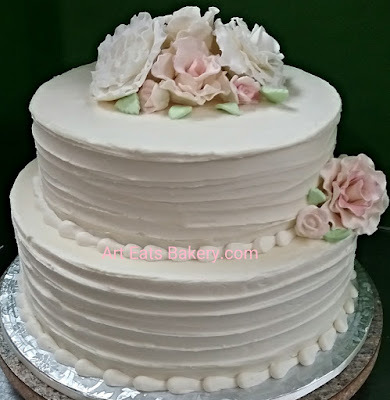 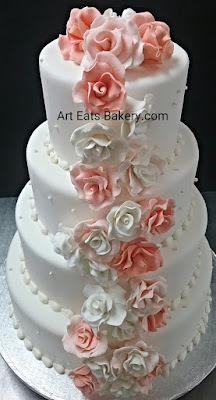 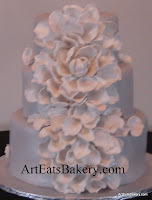 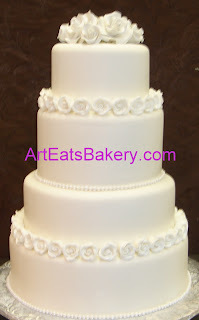 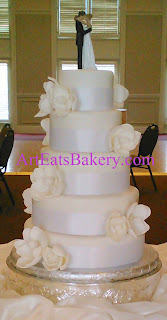 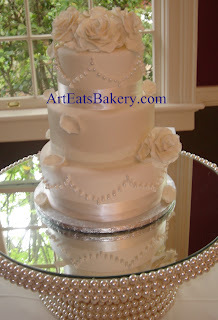 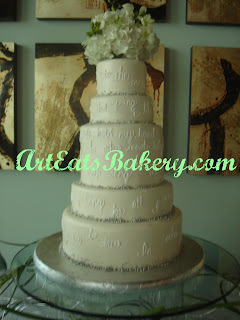 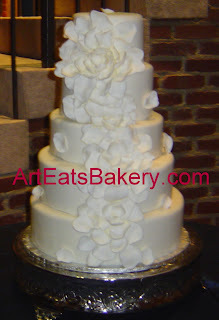 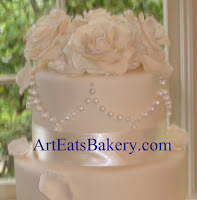 Ruffled buttercream custom four tier round wedding cake with stunning fresh flowers. 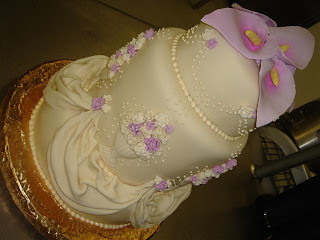 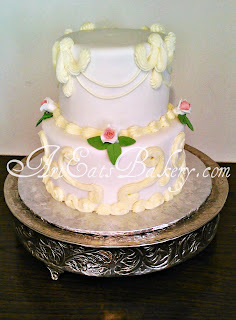 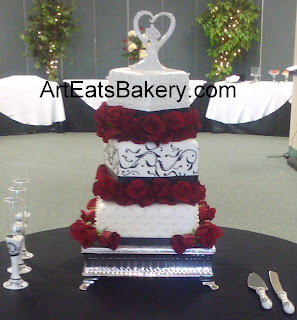 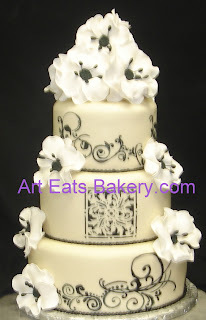 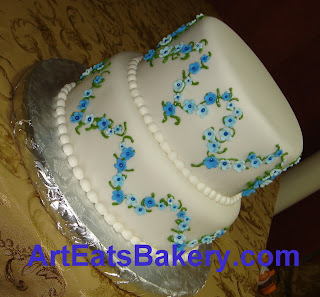 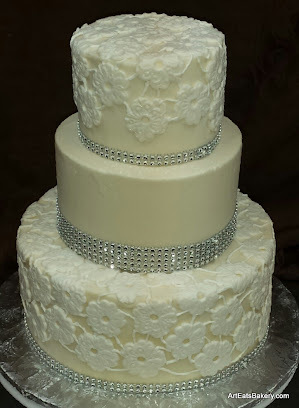 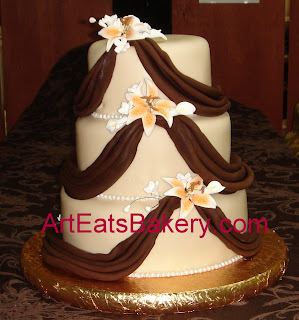 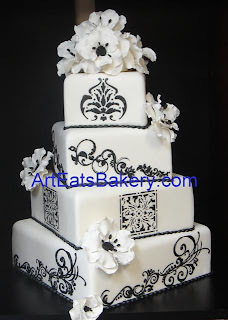 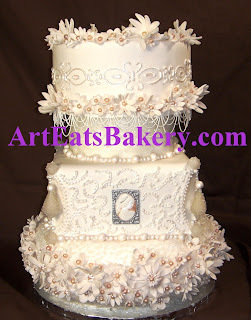 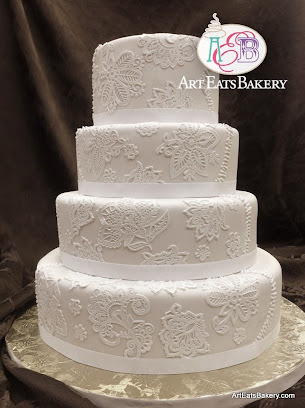 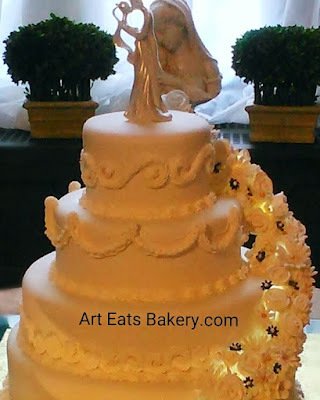 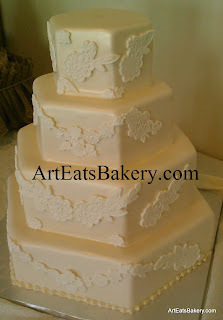 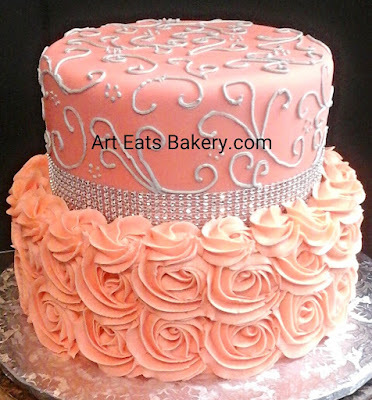 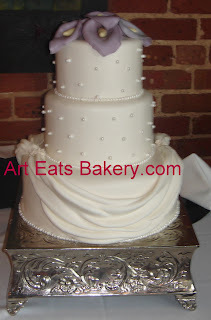 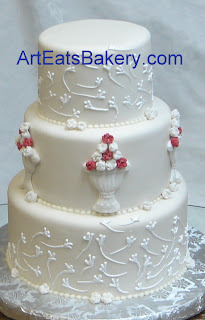 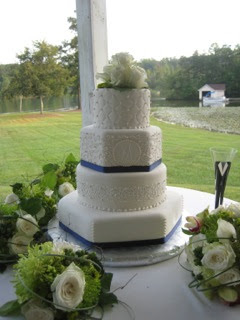 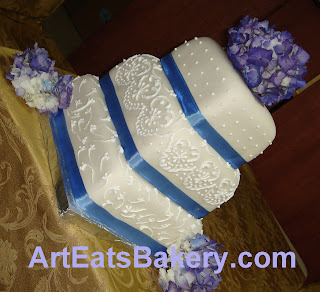 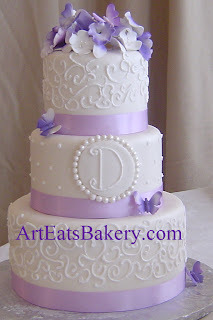 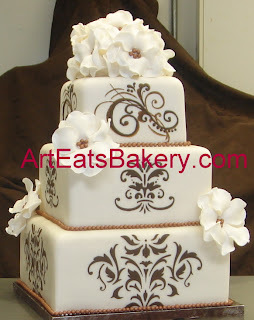 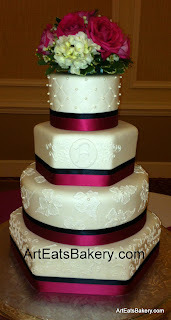 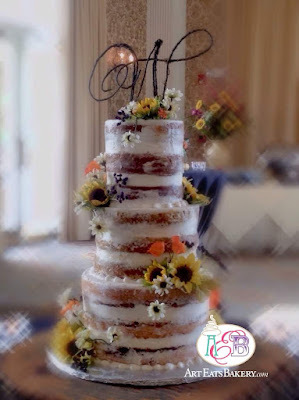 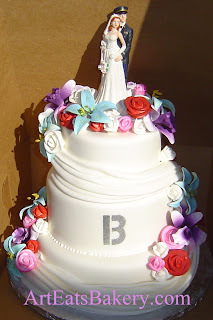 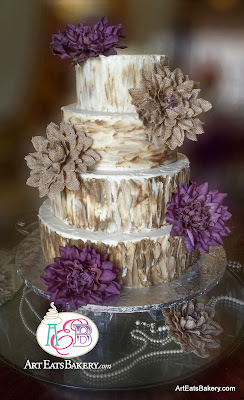 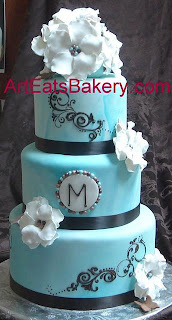 Intricate designs and sugar work are quoted. 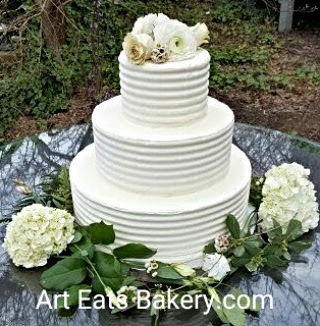 Sunday and Monday and Wednesday we are closed, but are available for weddings or orders. 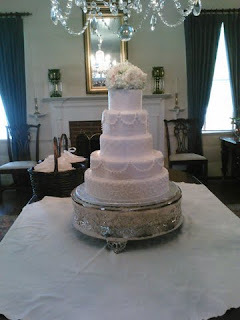 The rest of the week is by appointment or orders. 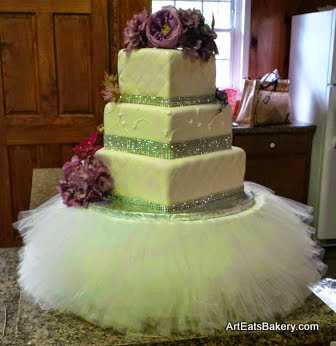 We are no longer doing ready made desserts. 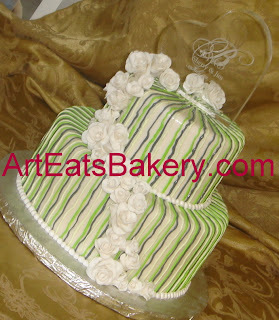 Please email or call to order.